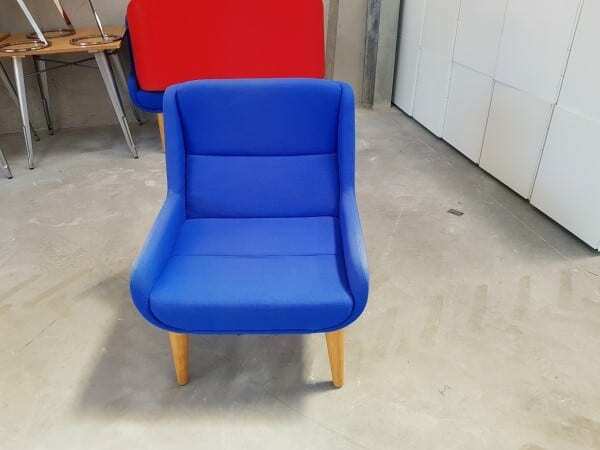 Like the Naughtone Hush low sofas, these Naughtone Hush low armchairs are designed to be comfortable with their upright sitting position, making it perfect for working, reading or just taking some time out. 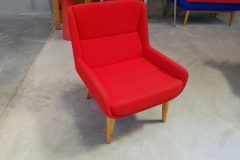 They are available on solid wood legs and come upholstered in either scarlet red or royal blue plush cloth. 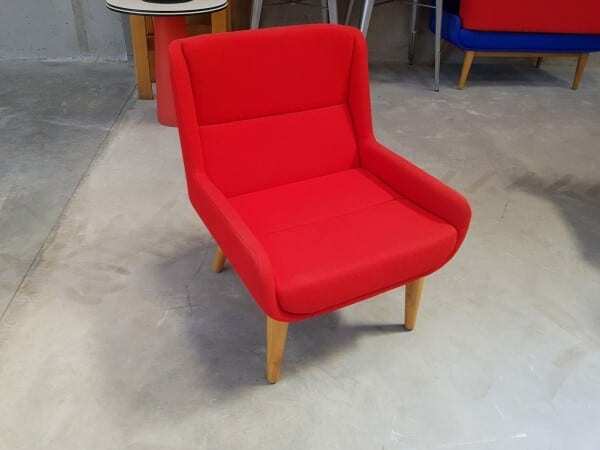 The matching Naughtone hush low sofas are also in stock. 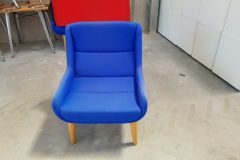 As always, these armchairs can be viewed in our showroom along with all our other used office furniture.